Jung observed that, “Life is a short pause between two great mysteries.” That fact is not in dispute; what matters, then, is how we live that pause. E. M. Forster observed that the two who could most illumine us, the corpse and the baby, are not talking. Given that mortality frames our journey, how might we live it more fully, not defined by fear, morbidity and denial? What attitudes and practices allow us to live more fully? And what psychological maturation brings us to experience this short pause as rich with meaning? 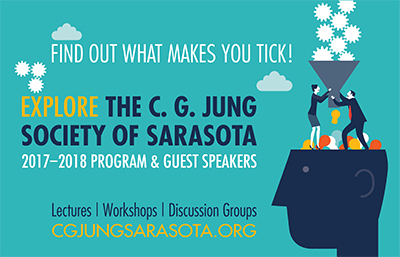 JAMES HOLLIS, Ph.D., is a Zurich-trained Jungian Analyst with a practice in Washington, D. C., where he also is Executive Director of the Jung Society of Washington. Dr. Hollis is the author of 14 books including: The Eden Project: In Search of the Magical Other, Finding Meaning in the Second Half of Life, Why Good People Do Bad Things, What Matters Most: Living a More Considered Life, and Hauntings: Dispelling the Ghosts Who Run Our Lives. He also has a new book forthcoming in 2018 titled The Examined Life.